Connecting with the Norwich Public School’s curriculum and offering place-based education for local students as an NHS priority. The NHS strives to be known and recognized throughout the city as a heritage and tourism leader whose efforts help to celebrate local history while bringing heritage people and organizations together. The City of Norwich has an incredibly rich history spanning over four centuries. The Norwich Historical Society and community stakeholders are collaborating to effectively link and tell Norwich’s rich stories. In the past few years, Norwich has taken numerous strides in an effort to tell our stories. Recently, the Norwich Historical Society created a series of self-guided walking trails called Walk Norwich. The trails are the Uncas Leap Trail, which features the Native Mohegan Tribe’s rich history in southeastern Connecticut, and the Benedict Arnold Trail, which features Norwich’s infamous native son and discusses Norwich’s rich colonial era history and significant figures from the Revolutionary War. The final two trails are the Norwich Freedom Trail, which discusses Norwich’s role in the Abolitionist Movement, and the Norwich’s Millionaires’ Triangle, which highlights Norwich during the Industrial Era and the Gilded Age. Each historic site located on the trails is available on walknorwich.org and provides smart phone users with easy access to information about the various historical sites located along these routes. Way-finding signs for the self-guided walking trails direct sightseers along the route and interpretive signage is located at significant cultural sites. Lastly, the trails have walking tour brochures complete with a trail map, color photos, trail information, and trail length / duration. 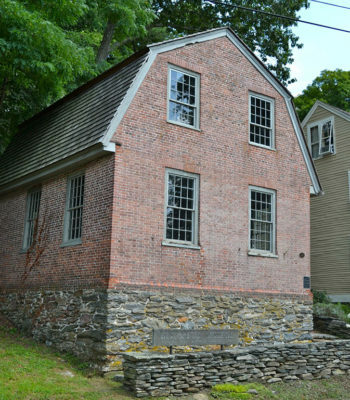 These four trails are located in four National Register Historic Districts and help connect multiple eras in Norwich’s history. Building on the success of Walk Norwich and the opening of the Norwich Heritage & Regional Visitors’ Center, NHS recently hosted Heritage Tourism Consultant, Elaine Carmichael, to determine if Norwich has enough capacity to be a heritage tourism destination. On September 11, 2018, Ms. Carmichael gave a presentation to Norwich leadership where she identified Norwich’s strengths, challenges, and opportunities. Overall, Ms. Carmichael concluded that Norwich has enough stories to make it a destination and recommended we manage our brand identity and create an authentic and honest experience for visitors. One of the areas we’d like to install signage is at the beginning of all the National Historic Districts in Norwich. Norwich has 10 historic districts and 26 individual sites listed on the National Register of Historic Places. We want visitors and residents alike to know that they are entering a historic neighborhood. Signage will be at the beginning of the following National Register Historic Districts:Greeneville, Taftville, Chelsea Parade, Yantic, Laurel Hill, and Downtown. Additionally, the Little Plain and Norwichtown Local Historic Districts will have signage as well. Further, based off of Ms. Carmichael’s recommendation, we’d like to brand the Norwich tourism experience. By using the title, “Experience Norwich: Four Hundred Years of History in 4 Miles,” we plan to create an authentic experience that links Norwich’s history through a consensus theme. Ms. Carmichael mentioned that one of Norwich’s challenges is murky brand identity, multiple place names, and ambivalence about major story lines. We’d like to create a tourism brand that cultivates community pride, involvement and participation that emphasizes underlying shared characteristics, yet give voice to conflicts and tensions over values, and interests. Heritage tourism can be a vehicle to address a host of issues affecting Norwich’s competitiveness, identity, quality of life, and prosperity. Stay tuned for more updates. 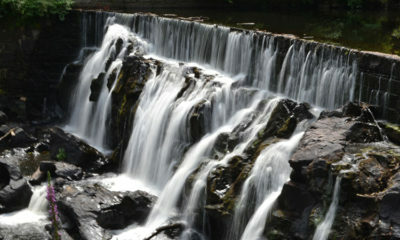 An important economic development approach identified through this Uncas Leap Falls study is to build an integrated tourism strategy for the city that brings in outside energy and revenue by taking advantage of Norwich’s unique heritage— not only a re-emphasis on Norwich’s dynamic Revolutionary, Civil War and industrial history, but a parallel stress on its partnership with the Mohegans, from Uncas Leap forward to the last decades’ casino/ resort development and its importance to the city’s employment base and consumer economy. Committee members from the Norwich Historical Society, Mohegan Tribe, the City of Norwich and other community partners are working together on this significant project.